Darkness is more than a symbol, it is a pervasive way of living and viewing the world. Darkness is the place of deception, evil, crime, predators, sin, and death. 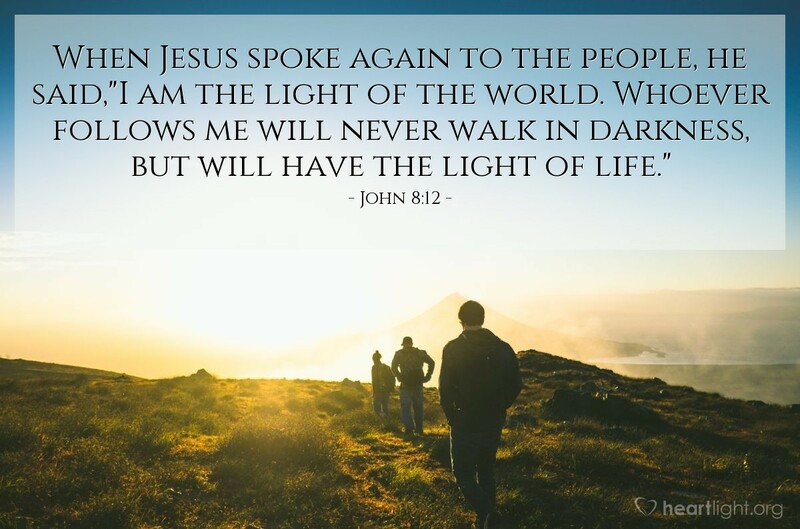 To follow Jesus means to bring him our heart and let him cast from the darkness that plagues us on the inside so we don't have to be afraid of the darkness on the outside. In this way, Jesus gives us light, but it is a light that does more than fill a dark room with light. This is a light that illumines the heart. Holy God who lives in glorious and irrepressible light, I praise you for sending Jesus to cast away the dark fears that so easily envelop me. I pray for strength and courage to not only live in the light, but show others their way to the light. In Jesus' name I pray. Amen.